This entry was posted in Google for Education Blog and tagged Education on November 29, 2018 by Mary Radomile. 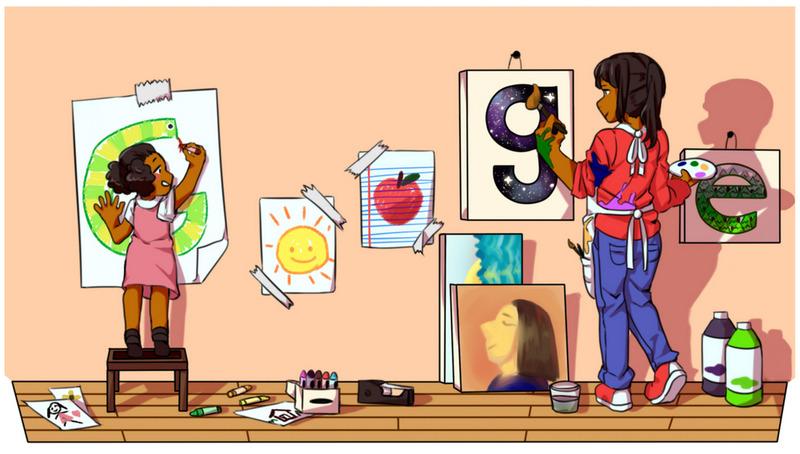 Ten years ago, for the very first Doodle 4 Google contest, we asked students “what if?” A decade later, we’ve been privileged to receive hundreds of thousands of submissions for our annual contest—submissions that reflect the dreams, hopes and talents of students across the country. These young artists help us to see the world through their eyes and find inspiration in unexpected places. Now we’re thrilled to announce the winner of the 2018 Doodle 4 Google contest: first grader Sarah Gomez-Lane, who drew delightful dinosaurs to highlight her dream of becoming a paleontologist. Sarah was our K-3 finalist, and the Virginia state winner. We fell in love with Sarah’s rendering of her dinos, and were blown away by her big (you might even say “dino-sized”!) ambitions for her future, especially at her young age. Thank you to everyone who participated not only this year, but throughout the past decade. And, of course, a huge congratulations to all of the talented 2018 winners. 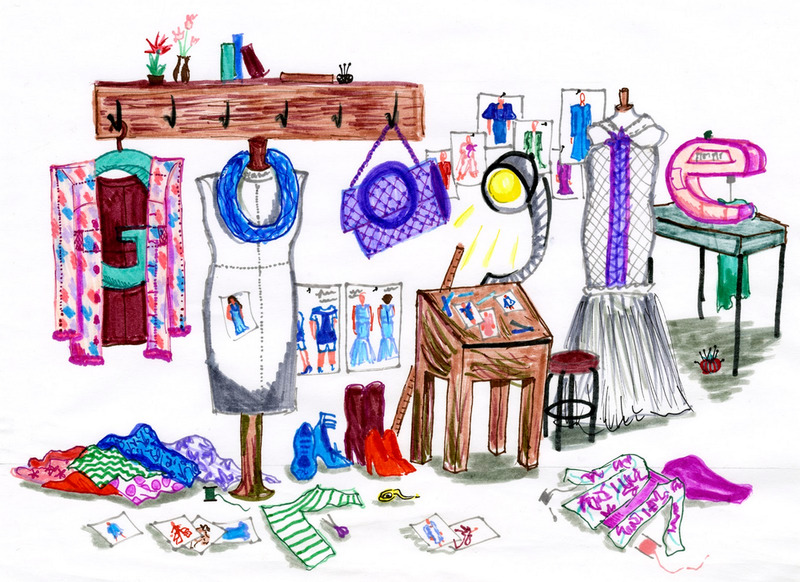 From all of us at Google: keep dreaming—and keep doodling! This entry was posted in Google for Education Blog and tagged Education, Search on June 19, 2018 by Education. This entry was posted in Google for Education Blog and tagged Education on June 19, 2018 by Education. We couldn’t help but be inspired ourselves by all of the submissions. This year’s 180,000+ Doodles covered everything imaginable, from cooking to family to dragons. "The things on my Doodle are my favorite dinosaurs. Dinosaurs inspire me to study more to be a paleontologist. The shovel is for my future job!" "Fashion inspires me because of how you can reflect your own personal style into just a single garment. Inspiration can be drawn from anywhere and can show any sort of idea. Whatever you can imagine!" "The thing that inspires me the most is the work of others. When I see an amazing art piece made by someone else, it motivates me to improve my own art. In my Doodle, I drew my big sister, whose artwork has inspired me to draw since I was young." "Nature has existed long before we have and therefore is where we draw our inspiration from. The word ‘inspire’ means to ‘breathe in’ and the wonders of nature are where I breathe in and find meaning in my mathematics, science, music and writing." 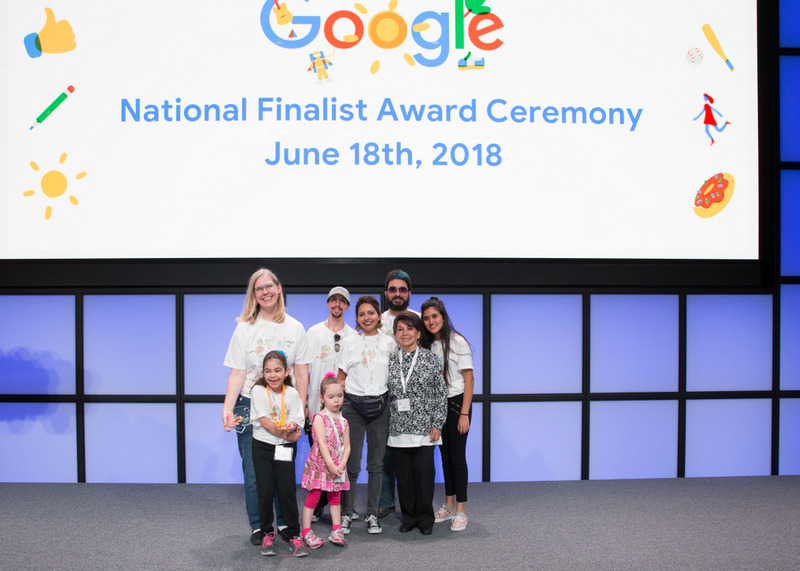 The national finalists will all receive a Pixelbook computer, a $5,000 college scholarship, and a trip to Google’s headquarters in California to celebrate with the other finalists and meet the Doodle Team. Come back on June 18 to find out who will be the national winner. Thanks to all who voted and all the young artists who submitted their Doodles. We can’t wait to see what you dream up next year! This entry was posted in Google for Education Blog and tagged Education, Search on June 4, 2018 by Education. Editor’s note: Teacher Appreciation Week starts today, and we’re honored to have the recently-named 2018 National Teacher of the Year, Mandy Manning, as our guest author. We’re enormously grateful for the hard work that teachers like Mandy do everyday to ignite curiosity in the next generation. Stay tuned here and follow along on Twitter throughout the week to see how we’re celebrating. Becoming a teacher wasn’t part of my original plan. I went to school to become a screenwriter and producer, but after my first job working at a local TV news station, I realized it didn’t quite fit my personality. I needed to have a different kind of impact. That’s when I found a job as a paraeducator (teaching assistant), then taught for two years in the Peace Corps. But it wasn’t until I moved to the tiny town of Spearman, Texas—where I taught theater and communications and coached speech and debate—that I seriously considered pursuing a career in teaching. From the first moment I stood in front of a classroom of nervous but curious teenagers, I was hooked. Looking at their faces, so full of hope and potential, I knew I’d found my purpose. Nineteen years ago, I could never have imagined being named National Teacher of the Year. Now, in this position, I’m humbled by the opportunity to raise the experiences of educators, and share my students’ voices. 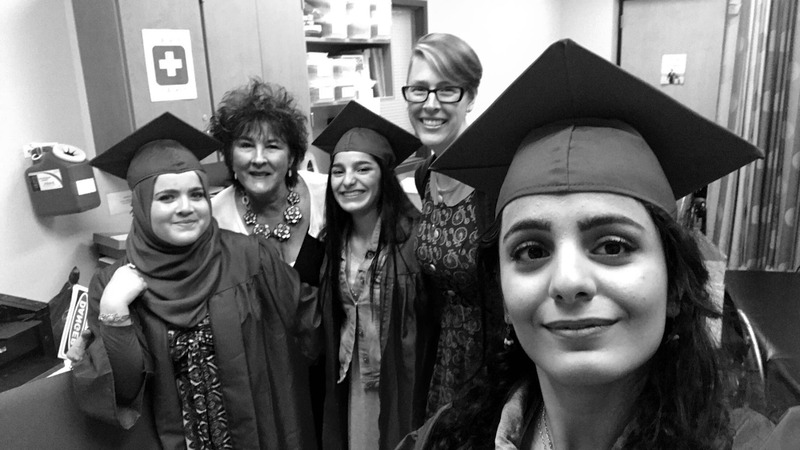 National Teacher of the Year Mandy Manning poses with her students on graduation day. The Council of Chief State School Officers (CCSSO) has run the National Teacher of the Year program since 1952. 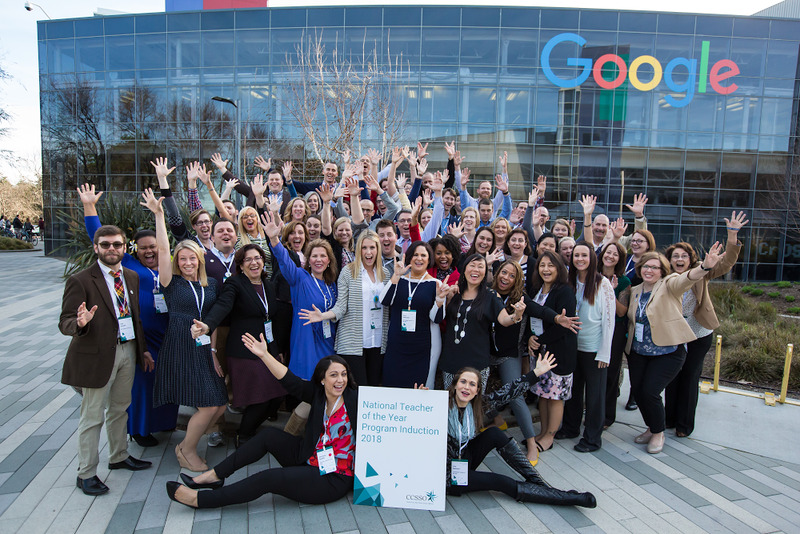 Google helps sponsor this program, and as part of their partnership, they hosted my 54 fellow State Teachers of the Year and me at their Mountain View headquarters this past February. The experience was inspiring and validating, reinforcing how educators across our nation are putting students at the center of their work, and how much direct impact we can have on our communities. Here are the 55 of us (2018 State Teachers of the Year) enjoying our time with Google in February. In one session, we had the honor of collaborating on this year's Doodle celebrating Teacher Appreciation Week, which is live on Google homepage in the U.S. today. It was powerful because it gave each of us the chance to talk about what it means to be a teacher, and to bring those concepts together into a single image. 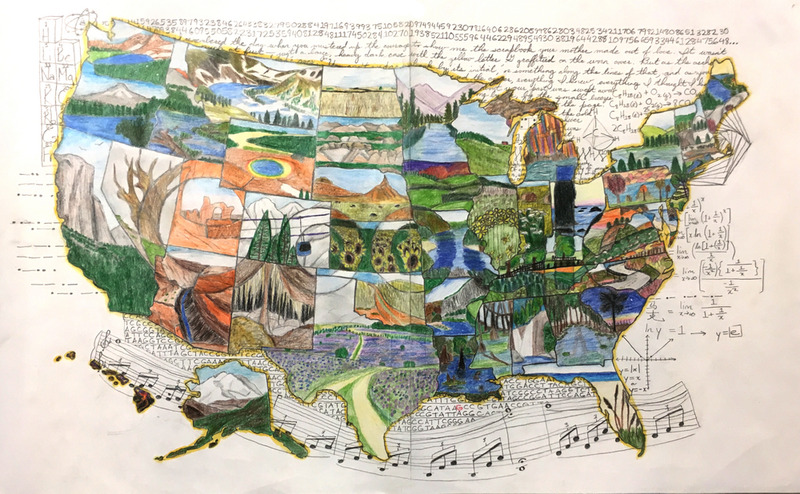 We were especially lucky to have help from Jonathan Juravich, Ohio’s 2018 State Teacher of the Year, who is a talented artist and art teacher (learn more about his experience as well as a behind-the-scenes look at the making of the Doodle). We also had the chance to share thoughts and ideas across a range of topics, including the teachers who inspired us, the future of education, and advice for aspiring educators, which are now part of a new video series called “Lessons from Teachers of the Year.” Starting today, these videos will be available on YouTube and I hope they serve as a source of inspiration for educators. Other influential individuals in education—like Sal Khan, Charles Best, and Angela Duckworth—answered some of Google’s most-asked questions about education and shared their thoughts on the profession of teaching. Their words of gratitude show the impact that teachers have on their students and the broader community. Check out these videos and trending education-related queries on a Google Trends hub dedicated to Teacher Appreciation Week. Over the years, Google has listened to and supported educators through its products, programs and investments, and this week Google.org is providing $500,000 to DonorsChoose.org to match donations to classroom project requests. Google has been working with DonorsChoose.org since 2012, providing more than $20 million to fund over 23,000 projects, reaching one out of every ten public schools in the U.S.
Every day I’m thankful my path led me toward teaching. I look forward to my year ahead as National Teacher of the Year and the opportunity to elevate my colleagues and students’ stories. In the most turbulent of times—and especially in those times—the importance of a good teacher cannot and should not be taken for granted. This week, give a shout out to the teachers who have made a difference in your life. 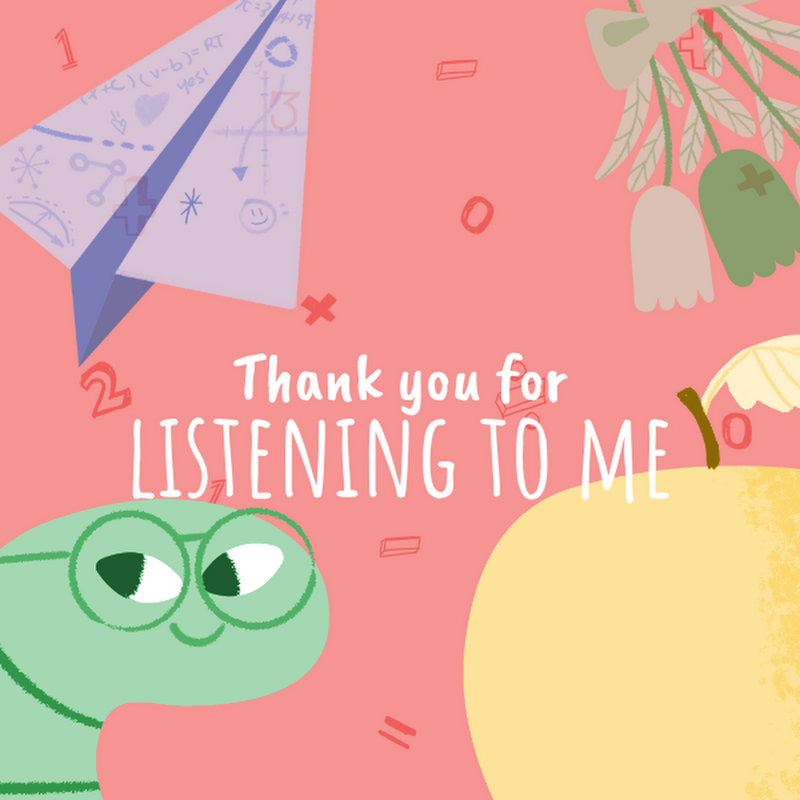 You can even try coding a note of thankswith Made with Code! So make sure to #ThankATeacher today—they deserve it. This entry was posted in Google for Education Blog and tagged Education on May 7, 2018 by Mandy Manning. Editor’s note:Teacher Appreciation Week starts today, and we’re honored to have Charles Best, the Founder of DonorsChoose.org as our guest author. We’re big fans of DonorsChoose.org, and are proud to be longtime supporters of their model of helping teachers. Today, we’re taking that one step further in honor of Teacher Appreciation Week. Keep an eye on the Education page and follow along on Twitter throughout the week to see how we’re celebrating. When I taught history in a public school in the Bronx, many of my fellow teachers had great ideas for books their students could read, field trips they would organize for students, or projects they would do in class, if only there was funding to make those ideas happen. I had a sense that people would want to help teachers like us if they could see exactly where their money was going. So with help from my students, I sketched out a site where teachers could request the exact resources they needed for their classroom, and donors of all stripes could give to the projects that inspired them. Since our founding in 2000, 3 million donors have given $680 million to fund over 1 million classroom projects. I never could have imagined reaching this scale back in my classroom days, and Google.org has been key to our growth. Google.org shares our belief that teachers understand their students—and the resources they need to teach those students—better than anyone else. Their financial support has empowered teachers across the country to bring their ideas to life. Since 2012, Google.org has supported 17,000 public school teachers who needed funding for their classrooms. This includes teachers like Mr. Narisetty who needed lab equipment for a new AP Physics lab, Ms. Gibson who needed funding for dolls and costumes for her kindergarteners, and Mrs. Price who requested sensory processing materials to help her students with special needs relax. Google.org’s continued support has enabled us to pilot new ways to serve students. Back in 2012, they pioneered “Classroom Rewards,” through which teachers who launched new AP STEM courses earned $100 in classroom funding for each student who received a passing score on their AP exam. This program launched more than 500 new AP STEM classes at high schools predominantly serving students from low income families. We recently launched an open source data science project that enables developers to use machine learning to help us match donors with more relevant teacher projects. All told, Google.org has helped bring almost 23,000 projects to life, providing around $20 million in classroom project funding. One in ten public schools in the U.S. has benefitted from this generosity. This week, Google.org is helping us celebrate Teacher Appreciation Week by honoring what teachers want and need. Google.org is doubling donations to one category of classroom projects every day this week for a total of up to $500,000. These daily categories, like professional development or art, are based on the terms our teachers have searched for most on DonorsChoose.org. We’re kicking off the week by supporting Professional Development projects, so that teachers can bring even more skills to the classroom. Please join us by heading to DonorsChoose.org to show teachers your appreciation in a way you know they’ll love. This entry was posted in Google for Education Blog and tagged Education, google.org on May 7, 2018 by Charles Best. 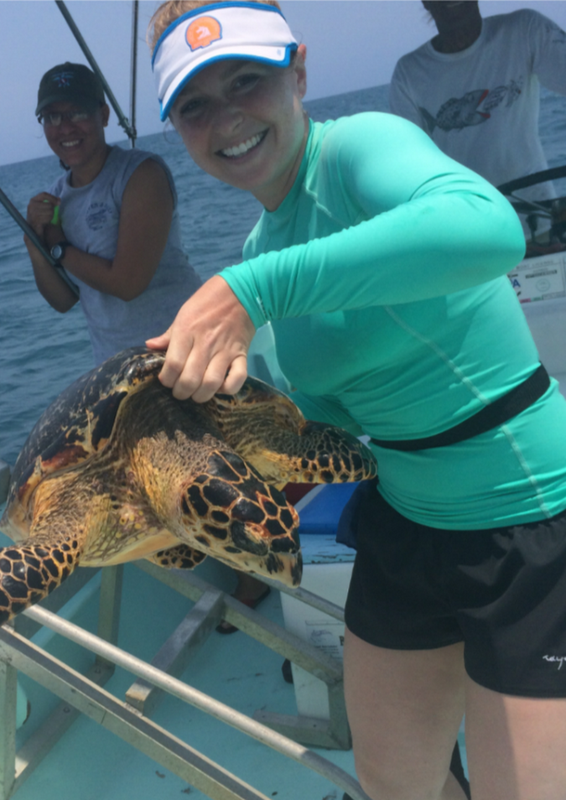 This entry was posted in Google for Education Blog and tagged Education, Environment on April 9, 2018 by Sarah Henderson. Less than a year later, Ann’s in-person, relevant, and consistent technology coaching has helped Hillsdale instructors build confidence in using technology to prepare students. For example, science teacher Carol Strampfer wanted a better way to organize her seventh graders’ written and digital projects so she could track their progress throughout the year. Working closely with Ann, she helped her students use Google Slides to build digital notebooks featuring images of assignments, photos of labs, and more. This entry was posted in Google for Education Blog and tagged Education on April 3, 2018 by Liz Anderson. During the evening’s events, Roses students shared dance, art, and poetry performances for the crowd, which included Zendaya, an avid supporter of the school. Growing up in Oakland as the daughter of two teachers, she has fond memories of spending time in the same classrooms that now make up the Roses in Concrete campus, and credits pretending to grade papers as some of her earliest acting experience. During a student-led interview, Zendaya shared her appreciation for organizations like this progressive community school that are thoughtfully closing equity divides in her hometown. She encouraged the students to “Always lead with your heart and chase the happiness that fuels you,” and reminded them that technology is one possible medium for them to express themselves and make a positive difference. This entry was posted in Google for Education Blog and tagged Causes & Community, Education, google.org on March 19, 2018 by Adrian Schurr. Editor’s Note: Many of us on Google’s Science Journal team are huge fans of OK Go, the popular rock and YouTube sensation. Their music videos are a spectacular blend of science, engineering, and creativity—a great formula for engaging classroom activities. 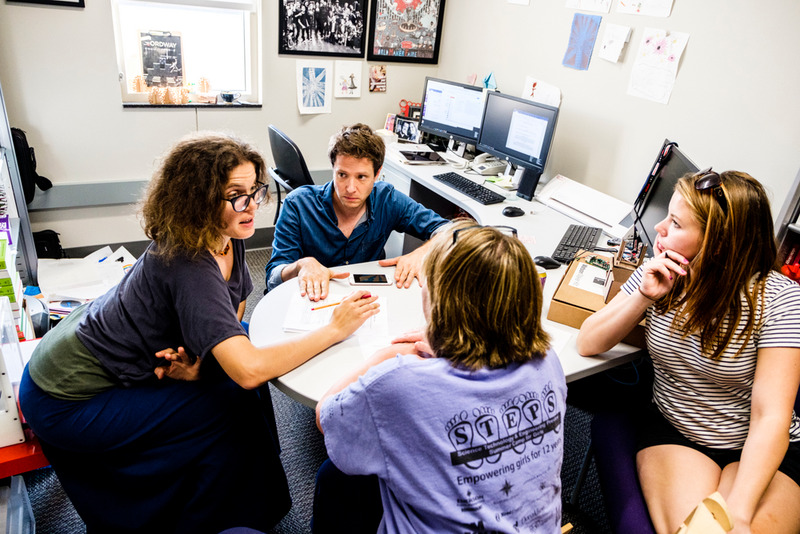 So when professor AnnMarie Thomas approached us about the OK Go Sandbox, a collection of materials for K-12 educators, we simply couldn’t pass up the opportunity. 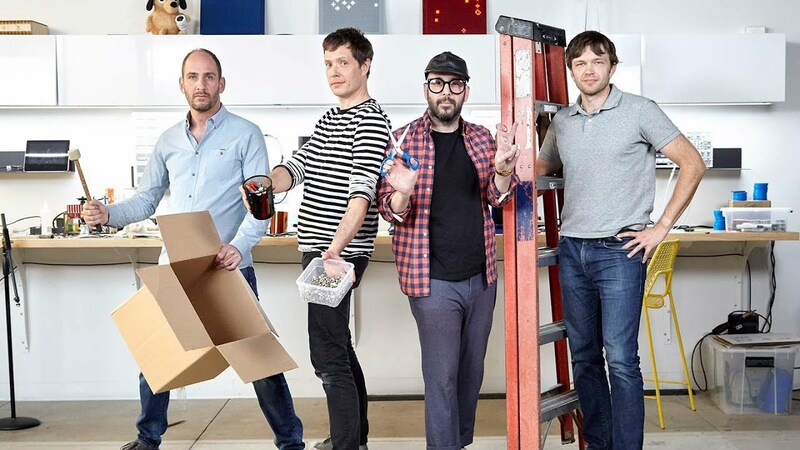 OK Go frontman Damian Kulash tells us more in this guest post. I’m always so proud and excited when I hear from a teacher who uses an OK Go music video in the classroom, and over the years, I’ve heard it more and more frequently—from pre-school teachers to grad school professors. We know our videos are joyful and nerdy (we’ve done a Rube Goldberg machine and a dance in zero gravity, for instance), but we didn’t plan them for the classroom environment. It’s a wonderful surprise to hear they’re sneaking in there on their own, and we want to support that in any way we can. Last year I met Dr. AnnMarie Thomas, who leads the Playful Learning Lab at the University of St. Thomas. Together we brainstormed ways to open up our videos for classrooms, and we set up a survey to ask educators for their ideas. Within just a few days, nearly a thousand teachers sent us their thoughts, and, with support from Google, we took this feedback and together developed our new OK Go Sandbox. It’s a collection of materials created for and with K-12 educators: design challenges, educator guides, and more. Here’s Dr. AnnMarie Thomas and me meeting with teachers to go over OK Go Sandbox materials. It was especially cool to work with Google’s Science Journal team to develop tools that allow students to explore the world around them through music. Their new pitch detection feature makes it possible to make sounds using glasses of water (like we did in the Rube Goldberg machine for “This Too Shall Pass”, and in the musical performance of a robotic car for “Needing/Getting”), and there’s now an option to play data values as pitches which lets students use their phone’s sensors to compose new sounds and interpret their data in a new way. So whether we’re exploring frame rates by making flip books, or using a light sensor to make music (with Google’s Science Journal app), we hope that the challenges in the OK Go Sandbox help stoke curiosity and encourage learning through joy and wonder. And we particularly look forward to learning more from educators as this stuff gets into the world. Educators! Please reach out to us at hello@OKGoSandbox.orgwith your input and ideas so that we can grow and adapt this to be maximally useful in inspiring your students. The best part of a sandbox is that we can try building lots of new things, even if we occasionally have to knock some things down and start over. This entry was posted in Google for Education Blog and tagged Education on March 15, 2018 by Damian Kulash.